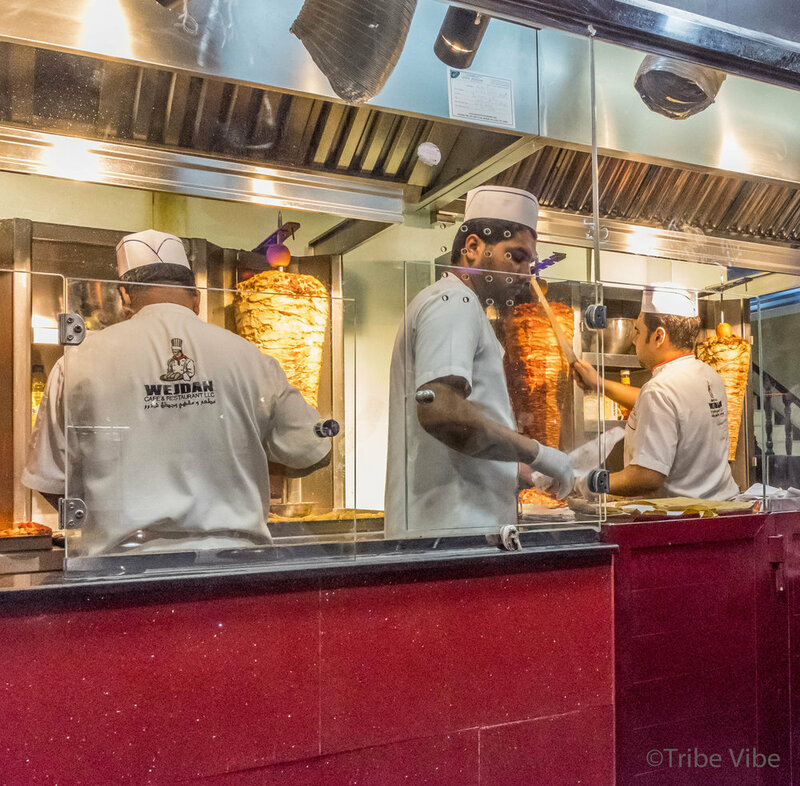 How often do you venture out to try a meal in the heart of old Dubai? Probably not that often, right? It's not that you don't want to, it just that you have no idea where to go. The streets are lined with restaurants but for some reason, you look at them with a bit of skepticism saying "I'm not sure...?" I would have walked right past this restaurant and what a mistake that would have been. Sometimes, whether you are a tourist or a local resident, you just need a little push from the right people to give things a try. Frying Pan Adventures was just that push my family and I needed to try some of the food and culture deliciousness in one of the oldest parts of our city. What a unique experience in Dubai! 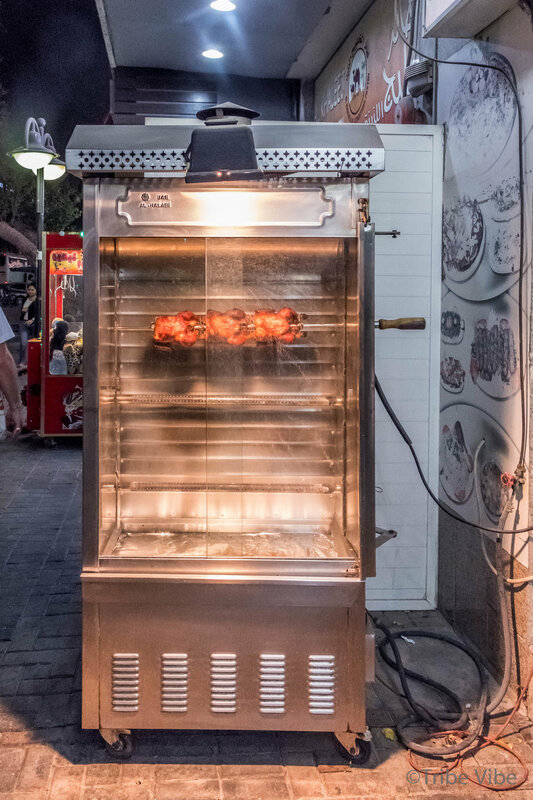 On a hot summer night, we ventured off to one of my favourite parts of the city, Old Dubai, for a food adventure we will not forget. My kids are typically less excited about this area of Dubai, preferring the shinner modern side of the city. But once they found out large amounts of food were going to be involved, they were game! 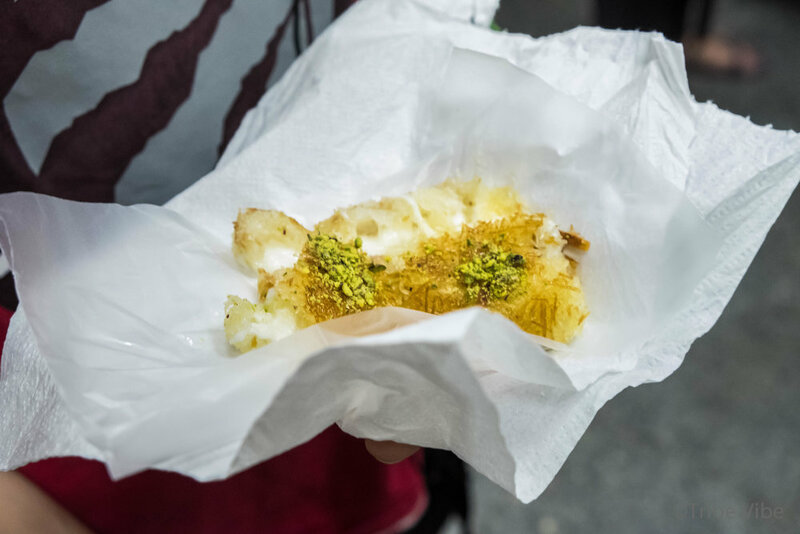 The tour consists of a 4.5 hr guided walking tour to different restaurants in the older part of the city, sampling and learning about a variety of Middle Eastern cuisine. A word of advice, pace yourself at each restaurant, you are in for a marathon food adventure! 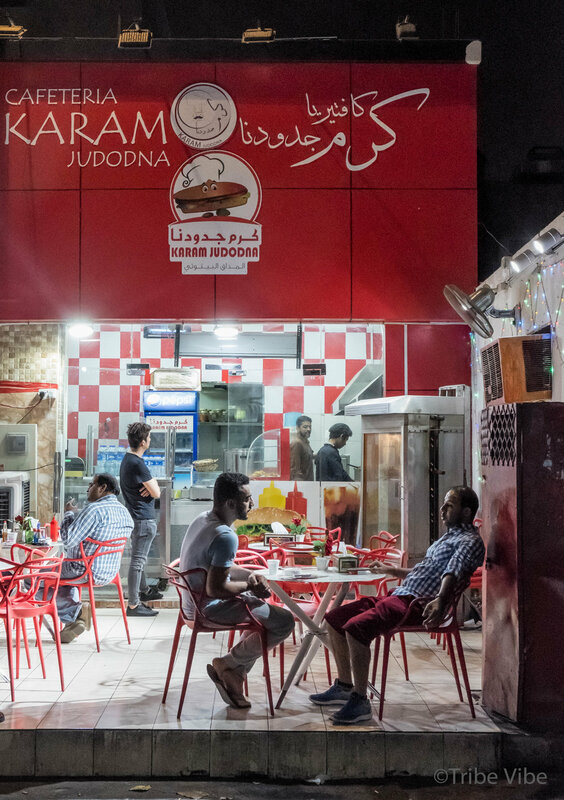 How do you start off a food tour of middle eastern cuisine? By visiting the local falafel house of course. 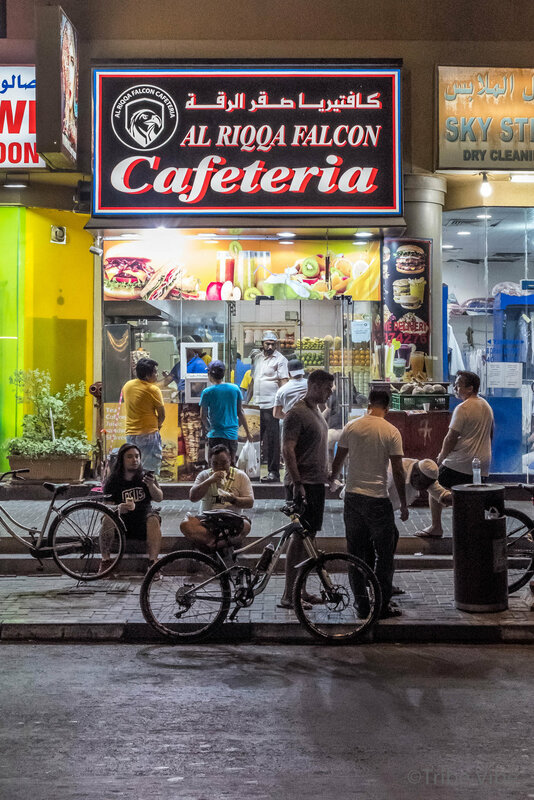 Sultan Dubai Falafel is a bustling little shop located on a very busy corner in old Dubai. It is probably safe to say that sadly, it is one that I probably never would have ventured into on my own. And what a miss that would have been for me because this little shop made me realize one thing...all falafel are not created equal! This restaurant makes hands down, the absolute best falafel around. Seriously, they are that good. 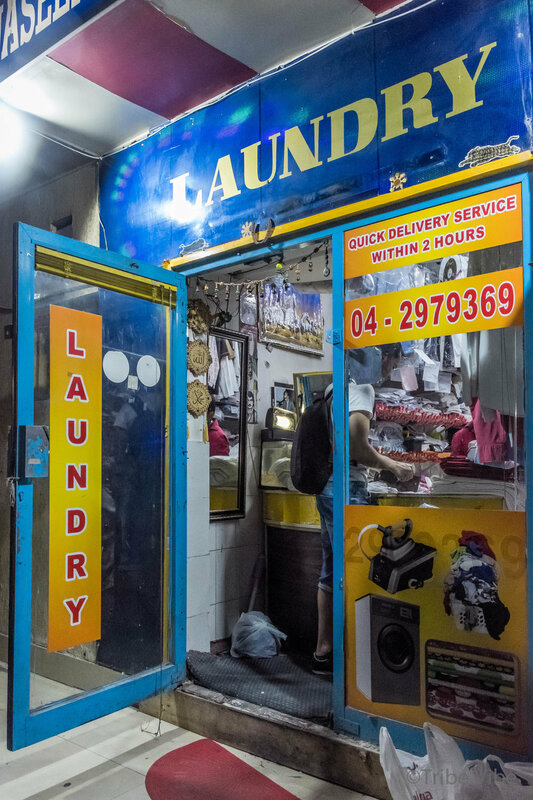 And like most of the places in old Dubai, the people working are full of personality and hospitality. A very entertaining visit. Next up was Musakhan. This is a Palestinian chicken pie with onions, sumac, and olive oil, and then topped with a shredded rotisserie chicken. It has more of an appearance of a pizza than a pie. The owner of the restaurant makes a visit to the table and shows his mastery skills of shredding a whole roatiserrie chicken in a matter of seconds. Definitly a fun display to watch. For half of our group, this was their favourite stop. I think partly because of the professional chicken shredding show! 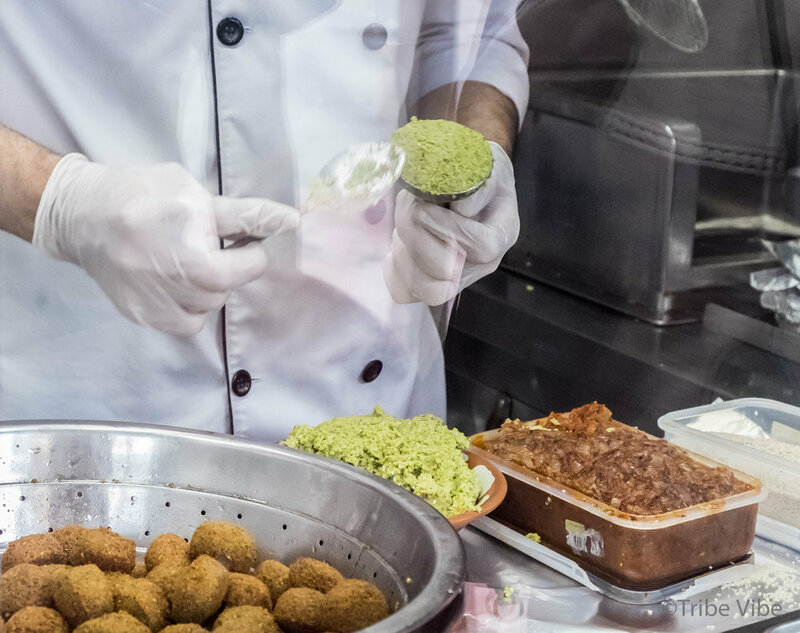 After sitting outside and enjoying our Falafel and Musakhan, we ventured inside to watch the art of making Kunafa. We were lucky enough to get to visit the kitchen (which is an interesting experience in itself) to see this unique dessert being made. 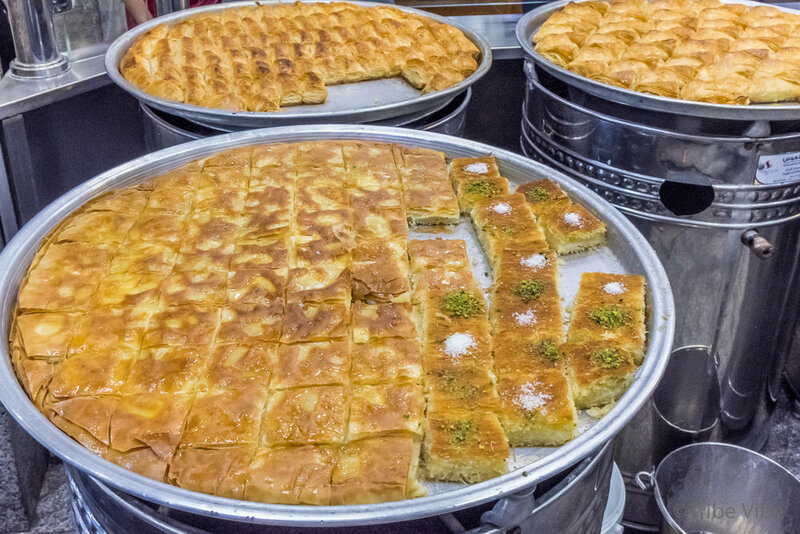 Kunafa is a very popular traditional sweet dish in the Middle East made of noodles, cheese, large amounts of ghee, and saturated in syrup. Needless to say, this is not a light dessert, but a delicious, rich one too enjoy without thinking of the consequences :-) The oldest teen on the tour really enjoyed this stop, having multiple servings, much to the delight of the chef. Like in the previous two stops, the chef making the Kunafa was very entertaining. After our Kunafa demonstration and tasting, we were able to browse the shop to have a look at all the other deliciousness it had to offer. Huge steel drums hosted the biggest metal trays you have ever seen. 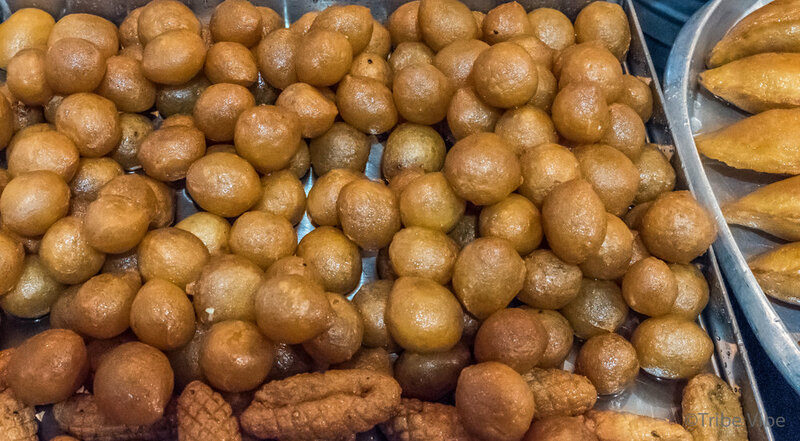 All filled with a variety of handmade small pastries. The smell was divine. To slow things down and give our stomachs a chance to recover, we went for a cup of Gahwa. Gahwa is Arabic coffee made with cardamom. 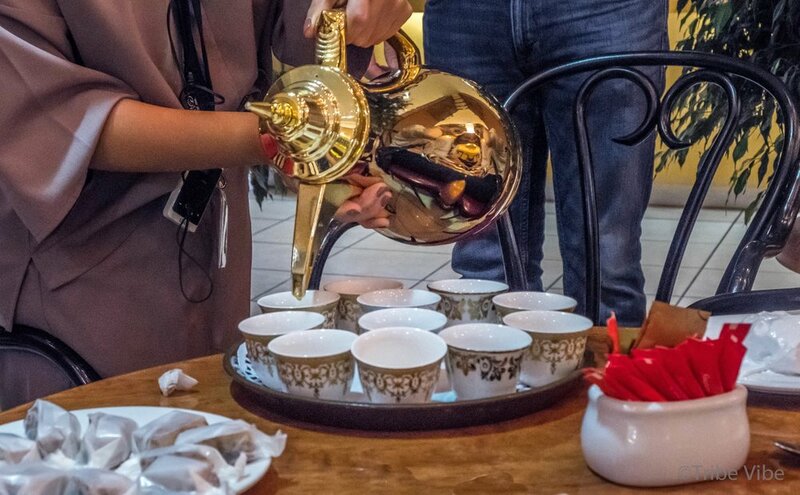 Arabic coffee cups are unique compared to the traditional western coffee mug. An Arabic coffee cup is a small handless cup made of porcelain and typically painted with distinct Arabic designs. 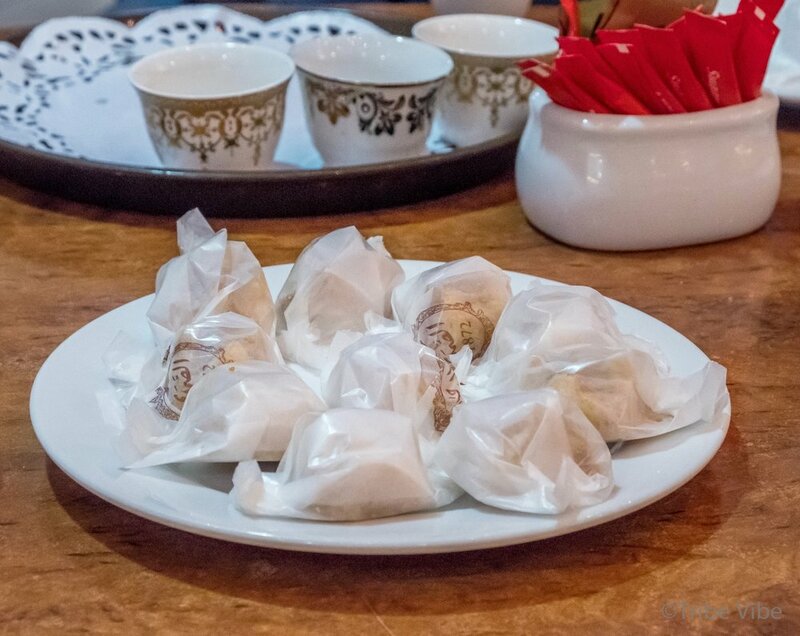 The coffee was served with individually wrapped small cookies. Arabic coffee and cookies are always served to guests in these pretty cups and beautiful teapots making a very impressive presentation. To add to the experience we were able to try something that we most probably would never have had the opportunity to try elsewhere, Natef. Natef is a meringue-like cream made from the roots of the soapwort plant. That's right, soapwort plant. It is used to dip your cookies in while enjoying your coffee. It had an interesting texture and taste, to say the least! The boys loved browsing the shelves of the store eyeing all the delicious middle eastern treats. To their delight, they were given many samples. Feteer is an Egyptian dish of layered pastry, fire baked to form a bread that is almost like pizza. It is covered in mozzarella cheese and an aged Egyptian cheese called roomi. Basturma (beef pastrami) is spread across the top. It is served with a dish of spicy Shatta sauce to dip your feteer into. This was a great late night snack. 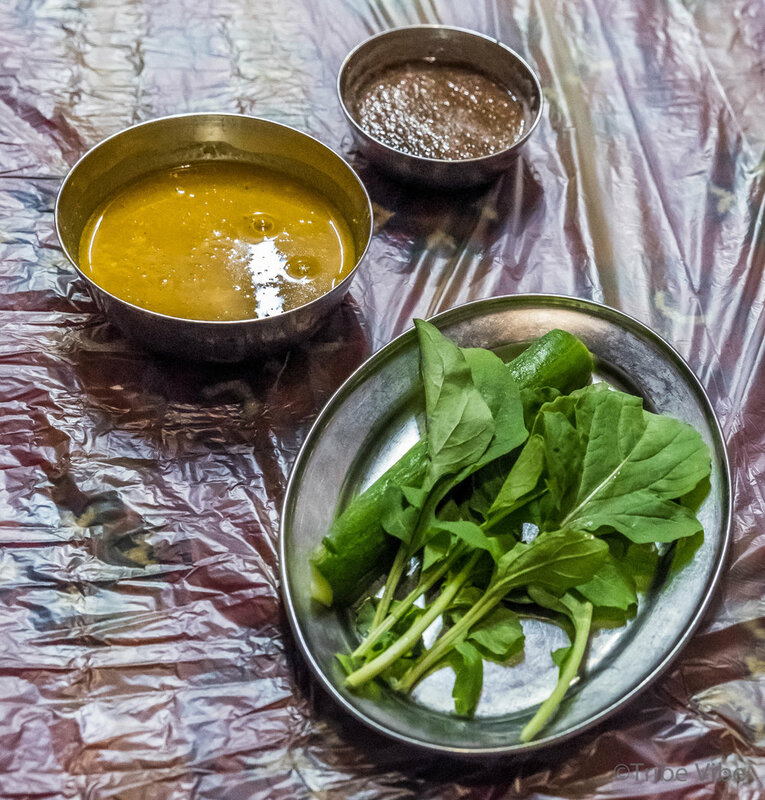 The last big meal on our tour was an Emirati feast served the traditional way, sitting crossed legged under a majlis (Arabic style tent) and ate with only our hands (no utensils.) 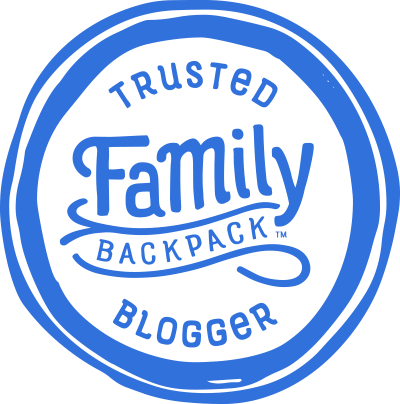 After living in the Middle East for a number of years now, this was not a strange concept for our family but it is also not a regular occurrence for us either. Our meal started with a delicious bowl of Shorbat Adas (lentil soup) which my youngest son devoured and was followed by the main course of Laham Madfoon (goat.) The goat was served with rice and yogurt which was to be mixed together to help form a ball making it easier to pick up with your fingers. Daqoos (spicy tomato and green chilly sauce) is poured overtop to give it an extra kick. This was a fun stop on the tour that will push most westerners outside their comfort zone. Go for it! Last but not least we made our final stop at an Iranian treat shop for Faloodeh (icy noodles sweetened with rose water and lemon juice) topped with a generous scoop of saffron ice cream. It may not sound as appetizing a taste to the more traditional vanilla and chocolate ice cream but it was delicious. Especially at the end of an extremely hot evening, with our stomachs close to bursting. 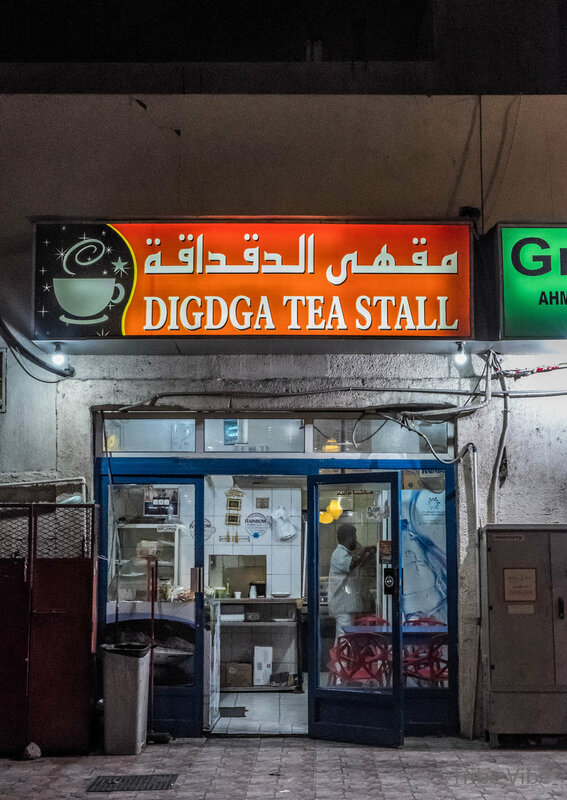 Dubai is a city full of contrasts. 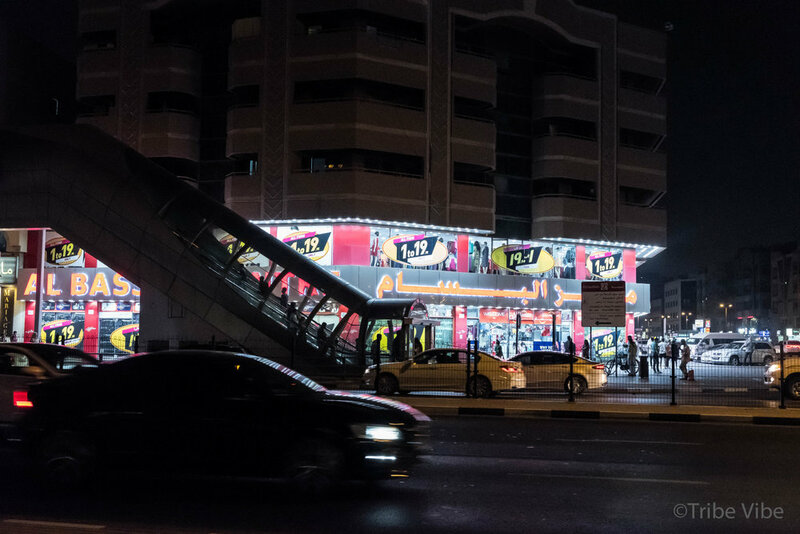 From the shiny, unimaginable, state of the art attractions in the new part of the city to the traditional, rich in Middle Eastern culture, hustle and bustle of the old part of the city. While I love the cutting edge side of new Dubai, I REALLY love to get lost in the grind of Old Dubai. When you cross over between the two worlds you really feel like you have gone on a journey to somewhere new. 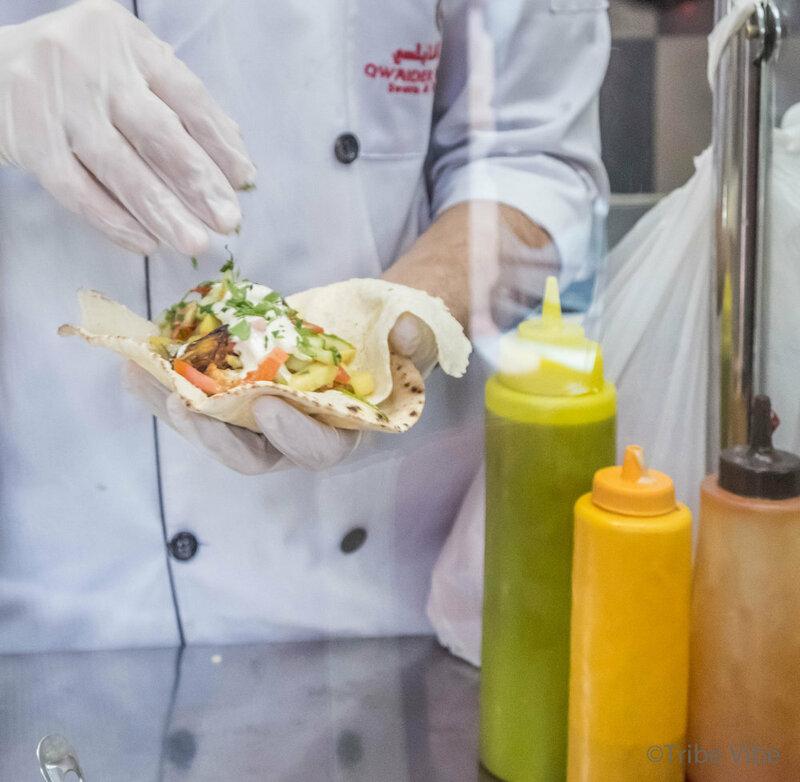 The Frying Pan Adventure allows you to see this side of Dubai through many of their food adventures. It really is a beautiful experience. Step outside your routine and become a tourist in your own city. On this food adventure you will definitely enjoy more than just the food! And amongst all the hustle and bustle, cars racing by, heat, sidewalks full of people, you can turn the corner and in an instant find the most calming surrounding. People quietly walking under the streetlights with the peaceful minarets casting out their beautiful ambre glow. The perfect image to end our epic food adventure in Old Dubai.